2013 MOC XC Champ Briana Gess aims for the repeat! 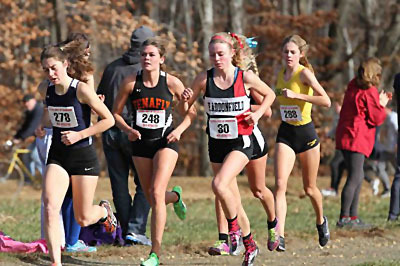 My friend Marc Bloom, the noted author, did a great piece not too long ago about the boom in Womens distance running over the last few years. It has been remarkable, especially in running rich New Jersey, that Women, notably High School Girls have raised the performance bar to such incredible levels. It started me thinking on the whole issue of how much, or little, coverage the ladies get. 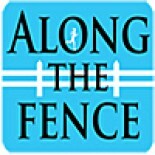 AlongtheFence.net will be returning to the scene (more later) with a special focus on the ladies who run, particularly the XC and distance runners. We will still post the Boys XC rankings every week, but will really spend time giving the ladies their due. C’mon back and check it out as we will kick this venture off with encore performances of 2 interview pieces that I did over the summer. Great idea Pat, I look forward to it! Pat, I like it! Nobody cares about what’s going on with the boys anyway…there is much more action and suspense on the girls’ side. This entry was posted on September 19, 2014 by Patrick Montferrat in Uncategorized.